Executed by Fountainhead MKTG, the experiential marketing agency from Dentsu Aegis Network, the 3 days of this meticulously planned extravaganza commenced with a cheerful and entertaining poolside welcome party at the Golden Palms Resort, Bengaluru. 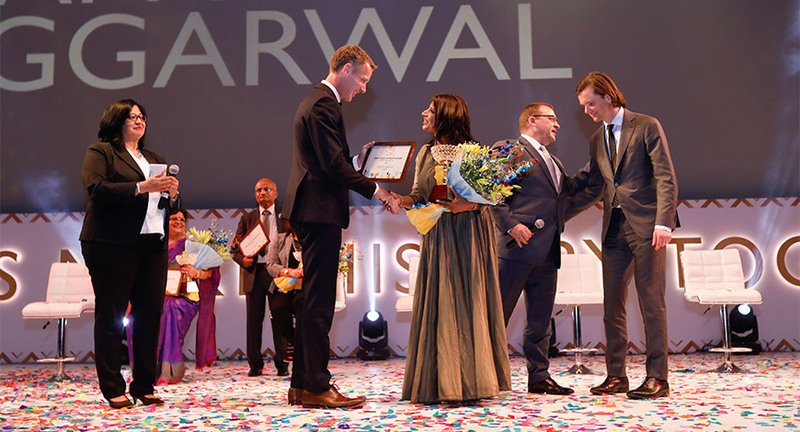 The welcome evening was a wonderful coming together of Oriflame’s global leadership team, the India team and their much valued partners who were to be celebrated in the coming days. 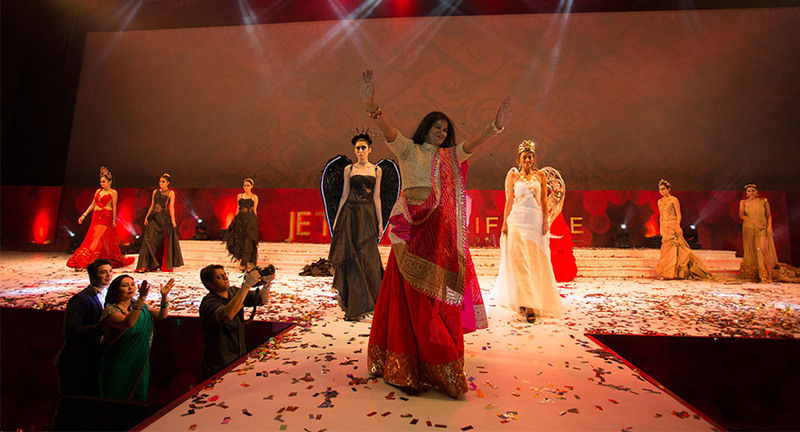 The next day showcased a stunning and immersive conference with presentations from top management interspersed with impactful performances, launches, fashion shows, testimonials and some interactive musicals. The audience were given a special treat as they enjoyed a candid chat with the beautiful Kalki Koechlin, who made a roaring entry at conference stage atop a Royal Enfield Himalayan bike! A glittering bohemian soul of Paris became the theme for the gala dinner the next day where a majestic 25 ft. Eiffel Tower welcomed the guests to the Moulin Rouge, the whole affair was amplified with immersive audio-visuals, brilliant ambient lighting and sound, thematic performances, astounding awards ceremony with creative entries of the winners on the stage complete with a musical carnival. 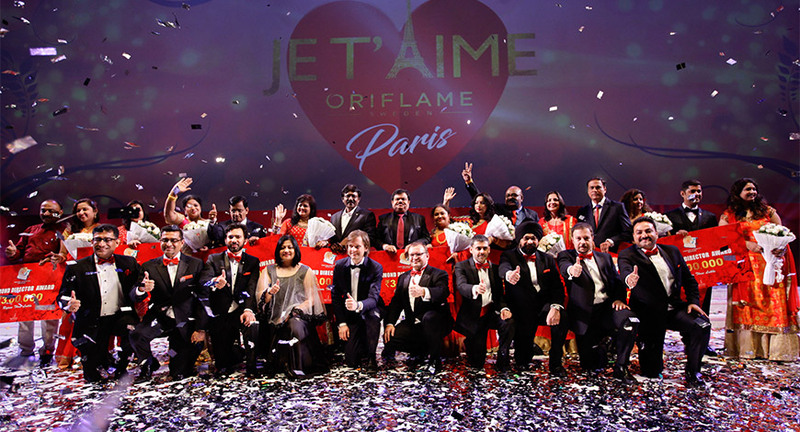 At the end, all members of the audiences were able to resonate with the sentiment of JeTaime Oriflame and celebrated themselves wholeheartedly. “Having partnered with Oriflame for this year’s Director Seminar, our planning and management had to be spot-on, as always expected. The team was utterly devoted to ensuring that we create a spellbinding atmosphere and turn these three days into an unforgettable experience for the brand. Given that this year was such a special milestone for Oriflame; we are all extremely happy to have been a part of this celebration. It was a huge responsibility and I feel that the team handled it with perfection.” said, Deeksha Sharma Arora, Vice President, Fountainhead MKTG (North).